Former builder / developer on Hilton Head Island & Costa Rica created a masterpiece amidst designing a Mini-Farm development! Envisioning 6 farms with homesites offering majestic views and state of the art facility for raising cattle & horses - the centerpiece a Clydesdale farm - outcome is breathtaking. The seller took 2 years turning raw land into idyliic rolling farm with the ultimate infrastructure 65 acres of lush pasture! 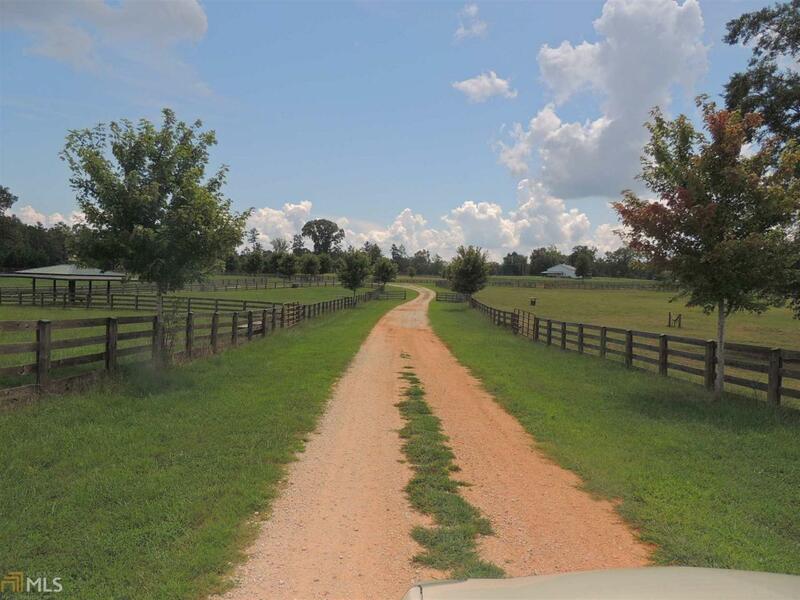 3 lakes, mile and a half of roads, 14 fenced paddocks, 4 acres to 10 to 15 acres each. Underground water for pasture, paddocks & barns. Paddocks w/backrubs, feed troughs, water tanks! Intricate Catch Pen! 16 acres shade trees & fancy shade pavilion, indoor riding pavilion w/12 stalls & 16 stall stable.